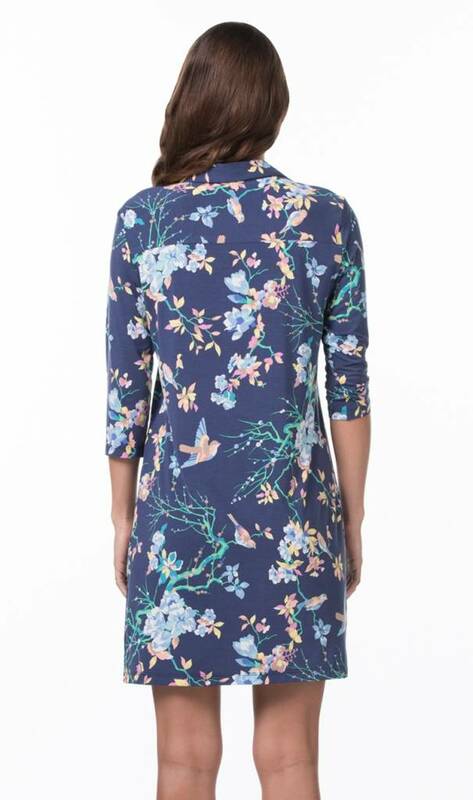 Our Evie dress is suitable for just about any occasion! 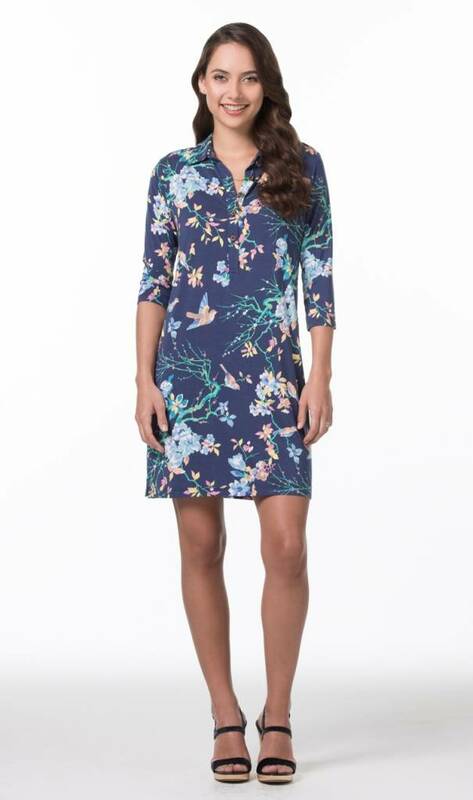 A comfortable and easy silhouette to wear either dressed up or down, pair with flat sandals for cruising around during the day or with a wedged heel for a casual dinner out. 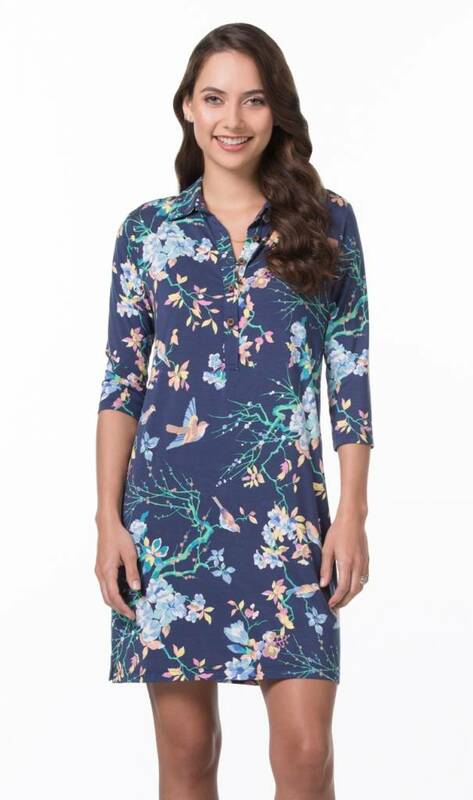 Our Chinoiserie like print, Bird In Hand, is a playful yet chic design of songbirds fluttering through a floral motif.